Learn how these international trailblazers and top executives achieved the impossible, in their own words. Whether you want to launch an empire or become the best in your field, who better to consult than those who have achieved the peak of professional and financial success? That’s why we’ve rounded up 25 books by self-made billionaires. From the business insights of Bill Gates to the leadership lessons of Richard Branson, the wisdom collected in these pages extends far beyond the classroom. Learn how these masters of industry achieved the impossible, in their own words. Although Branson confesses he’s never read a book on leadership, his nearly 50-year entrepreneurial career has taught him a thing or two about building a business. In “The Virgin Way,” the billionaire founder of Virgin Group offers lessons on management and entrepreneurialism, including the importance of listening to others and hiring the right people. Branson is honest about his successes as well as his failures, such as underestimating Coke’s influence when he tried to launch Virgin Cola in the 1990s. Overall, the book is a compelling glimpse into the life of someone who’s never shied away from a challenge. After resigning as Starbucks CEO in 2000, Schultz returned to the post in 2008, just as the company was struggling through a financial crisis. “Onward” details how the billionaire brought the global coffee chain back to life. 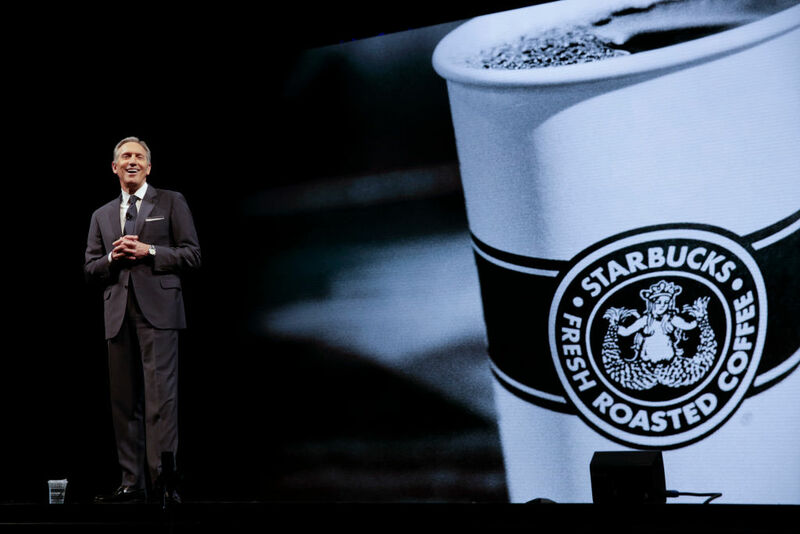 Readers will learn how Schultz made tough decisions — like temporarily shutting down more than 7,000 US stores — in order to help Starbucks grow without neglecting its core values. They’ll learn, too, about Schultz as a person, as he weaves together his unique business strategy with anecdotes about growing up in Brooklyn, New York. It’s an honest and passionate recounting that will inspire entrepreneurs and everyone else to be brave in the face of adversity. In “How to Win at the Sport of Business,” Dallas Mavericks owner and “Shark Tank” investor Cuban fleshes out his best insights on entrepreneurialism from his personal blog. He writes candidly about how he progressed from sleeping on his friends’ couches in his 20s to owning his own company and becoming a multibillionaire. It’s a story of commitment and perseverance — Cuban writes that even though he didn’t know much about computers, he beat his competition because he spent so much time learning about the software his company sold. The 86-year-old chairman and CEO of Berkshire Hathaway is considered one of the greatest investors in history. This book is a collection of Buffett’s letters to Berkshire Hathaway shareholders. Each one explains a different facet of his business and investment philosophies. While the topics might seem complex, the billionaire’s writing is easy to read, and he often explains concepts through personal anecdotes. With a net worth of $75 billion, Forbes estimates the Microsoft founder is the richest person in the world. In “Business @ the Speed of Thought,” Gates explains how business and technology are inextricably linked. Using examples from companies like Microsoft and GM, Gates suggests that businesses see technology as a way to enhance their operations. While the book was initially published in 1999, many of Gates’ insights remain accurate and relevant today. Published in 1997, five years before he became mayor of New York City, Bloomberg’s autobiography details how he built a media empire. He guides readers through the highlights of his career: how he rose to success at Salomon Brothers, how he was fired from Salomon Brothers in 1981, and how he used part of his severance pay to create the company that is now Bloomberg LP. The book is chock-full of valuable, honest insights on leadership and management, all based on Bloomberg’s personal experience. “Zero to One” starts from the controversial premise that “competition is for losers” and that entrepreneurs should instead aim to create monopolies. Thiel, a founder of PayPal and the data-analytics firm Palantir, highlights the importance of building something new and taking over the market, as opposed to simply adding to what’s already out there. Regardless of whether you agree with Thiel’s philosophy, the book is a clear read with tons of ideas worth discussing. While Turner has led multiple entrepreneurial ventures, he’s perhaps best known as the founder of the first 24-hour cable-news channel, CNN, and as the former owner of the Atlanta Braves. In his autobiography, he outlines his unconventional path to success, from getting expelled from Brown University to running his father’s billboard company to turning a small news station into a media empire. The book also features personal stories about Turner’s relationship with his father and the actress Jane Fonda, all of which paint a full picture of the dynamic billionaire. “Think Like a Champion” is a collection of the president-elect and real-estate mogul’s essays on personal and professional success. Each one combines anecdotes from his own experience with inspirational advice on everything from learning from your mistakes to confronting your fears. Acknowledging his own tendency toward self-promotion, he tells readers to “toot your own horn” when you deserve it. “The First Billion Is the Hardest” tells the story of how the now 87-year-old chairman of BP Capital Management overcame personal and professional challenges to achieve tremendous success. That Soros survived the Holocaust to become one of the world’s most brilliant investors is no small miracle. Readers learn about his career path in “Soros on Soros,” which is technically two extended interviews that combine personal anecdotes with theories on finance and politics. Soros is honest about his successes and failures as founder and chairman of Soros Fund Management, and is hardly shy about submitting controversial opinions. It’s a compelling read, whether you’re interested in learning more about Soros himself or global finance and policy. Dell dropped out of college at 19 to found PC Limited, the business that is now Dell Computer Corp. At 27, he became the youngest CEO of a Fortune 500 company. In “Direct from Dell,” the billionaire entrepreneur explains how he grew his business and the theory behind his unique management style. It’s an inspiring rags-to-riches story that also offers valuable leadership lessons. In “Built from Scratch,” Marcus and Blank chronicle how they changed their fate and turned their dreams into reality. After the two were fired from a home-improvement chain called Handy Dan in 1978, they decided to pursue their idea of creating a discount store. It was called The Home Depot. The book details the company’s founding and growth, and the authors draw on their own experience to provide meaningful lessons for any business leader, including the importance of knowing your customer and giving back to the community. Few people have a better understanding of passion and dedication than Winfrey. Born into poverty, she launched a career as a talk-show host, actress, and media mogul. “What I Know for Sure” is a collection of her columns in O, the Oprah Magazine. Each one offers a different life lesson on topics including joy, gratitude, and power, often based on her personal experience. Fashion designer Ralph Lauren grew up as Ralph Lipschitz, the son of Jewish immigrant parents living in the Bronx. The idea for Polo Ralph Lauren was born when he attended a polo match as a young man and was captivated by “high society” style. In his autobiography, he shares his personal history, the inspiration behind his work, and beautiful photographs. At 89, Peterson has had a long and storied career, which includes stints as US secretary of commerce, chairman and CEO of Lehman Brothers, and cofounder of private-equity firm Blackstone Group. He’s also the founder and chairman of the Peter G. Peterson Foundation, which focuses on raising awareness about fiscal challenges that the US faces. In “Steering Clear,” published in 2015, Peterson makes the case that we need to take immediate action to reduce long-term debt in the US, projected to hit record highs in the near future. He juxtaposes prose with charts and graphs that illustrate the issue, and offers potential solutions to the problem, including closing loopholes in the tax code. DeVos’ rags-to-riches autobiography details his transition from Depression-era Michigan schoolboy to multibillionaire cofounder of direct-selling company Amway. The book weaves together stories about DeVos’ personal and professional lives, focusing in particular on the way his Christian upbringing and values paved the way for his success. To many Americans, Cathy’s invention of the chicken sandwich and founding of fast-food chain Chick-fil-A make him a modern hero. In “How Did You Do It, Truett?” Cathy, who died in 2014, describes his rise to success, starting from the days when he worked behind the counter at the Dwarf Grill in Georgia. At 95 pages, it’s a relatively short read, and the book includes a number of inspirational business and leadership lessons for aspiring entrepreneurs. According to Schwab, founder of Charles Schwab Corp., anyone can be a wise investor. All you need to do is learn the basics and apply them in an investing strategy. In “New Guide to Financial Independence,” a revised edition of a book published in 2007, Schwab teaches readers how to set investment goals, monitor their performance, and plan for retirement. His main argument is that, when it comes to investing, doing nothing is the worst thing you can do. While the lessons in it are applicable to anyone, the book is a helpful road map for beginning investors, breaking down complicated concepts into simpler pieces. In this book, Einhorn tells his side of a six-year financial saga. Here’s the short version: In 2002, Einhorn, founder of Greenlight Capital, thought he’d uncovered flawed accounting practices at Allied Capital and started short selling Allied’s stock. That didn’t work, as the stock climbed. Einhorn tried to expose Allied’s unethical behavior, even approaching the US Securities and Exchange Commission, but the SEC ended up investigating him as well. Ultimately, Allied settled with the SEC in 2008 and the accusations were never substantiated. The book is heavy on detail, and one critic says that some parts read like Einhorn’s angry rant. But it nonetheless offers some compelling insights into the general drama that often unfolds on Wall Street. Instead of succumbing to the latest trends, Klarman, CEO and president of the Baupost Group, encourages readers to understand the rules and logic behind investing. Specifically, he advocates and explains the rationale behind value investing, a method developed by Benjamin Graham that involves investing in securities trading at a price lower than their intrinsic value. The book takes its title from Benjamin Graham’s advice to always invest with a margin of safety. “Margin of Safety,” no longer in print, now sells for as much as $1,000 on Amazon. “Made in America,” by the founder of Walmart, is one of Amazon CEO Jeff Bezos’ favorite books. Readers get a glimpse into both Walton’s personality and the effort it took for him to build what is now the largest retailer in the world. One reader calls the book “wonderfully folksy” — others say it’s solid inspiration for those looking to start their own business. Nike cofounder Knight retired as the chairman of Nike in June 2016. In “Shoe Dog,” published April 2016, he tells the fascinating story of how he built the world’s biggest athletic company. Knight takes readers along on his personal journey to success, starting from his pivotal decision at age 24 to go the entrepreneurial route instead of joining the corporate world. Longtime venture capitalist Brad Feld calls the book the “best memoir I’ve ever read by a business person” and a “must read” for any founder. This 2009 book details how Salesforce’s founder, chairman, and CEO launched the cloud software company, now worth roughly $50 billion, in 1999. In 2014, Eric Schmidt, Google’s executive chairman and former CEO, and Jonathan Rosenberg, former senior vice president of products, published this compilation of insights from their experience building the company. Readers learn the meaning and importance of “smart creatives,” and some anecdotes from Google’s previously untold history.